Quickie today! 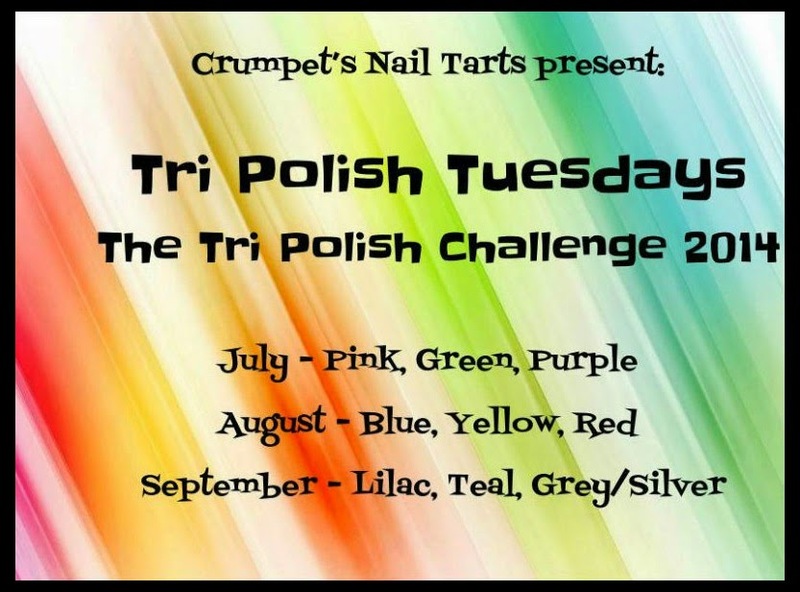 Taking part in the 31 Day Challenge means my Tri Polish Tuesday efforts this month will probably be a bit overshadowed, unless I can figure out a way to combine them. Seems unlikely though. 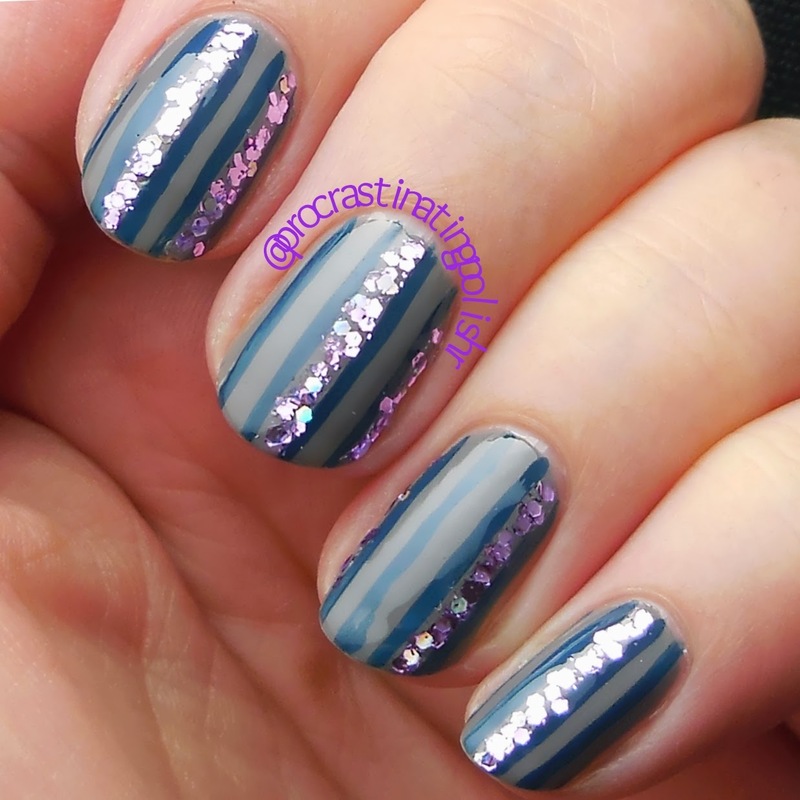 So Lilac, Teal and Grey for me ended up with some easy peasy stripes, with some lazy ladies glitter placement. As in I placed the brush of a glitter topper polish on my nail and pushed the clumps around until they lined up. It worked though! That stunning glitter is Shattered Amethyst from Pretty Serious. It comes from the Splash of Flash collection, and damn is it flashy! I love the hell out of it. Unfortunately my teal ended up a bit more navy looking over the grey. Hopefully next week I'll be more organised!